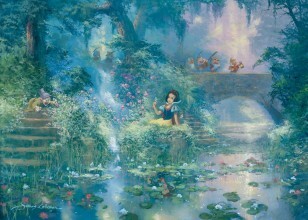 The main character from the German fairy tale of the same name. 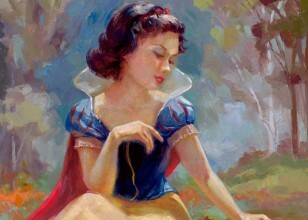 Born a princess, Snow White was targeted by her evil stepmother, the Queen, when her status as "fairest in the land" was threatened. 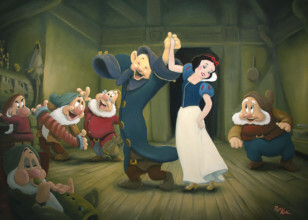 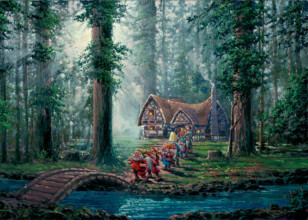 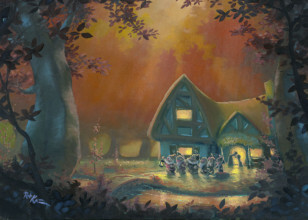 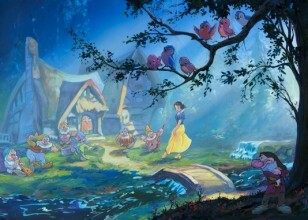 Snow White escaped the clutches of her stepmother and found refuge with seven dwarves. 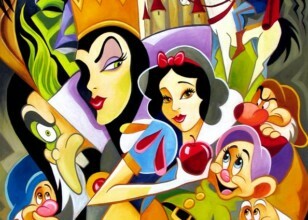 Unfortunately, she would continually be antagonized by the evil Queen. 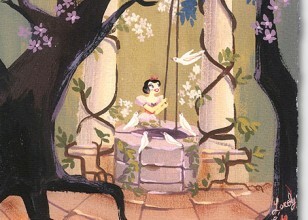 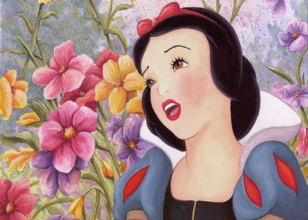 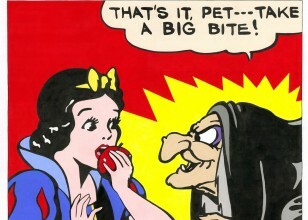 In Walt Disney's retelling of the story, Snow White was put into a deep sleep from eating a poisonous, red apple. 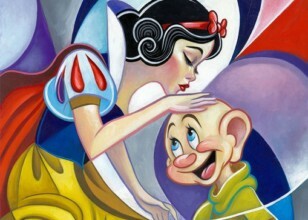 When her true love, who is coincidentally a prince, kisses her, she is awoken. 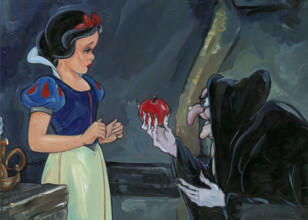 In the original story, she awoke when her glass coffin fell, dislodging a piece of the poisonous apple from her throat. 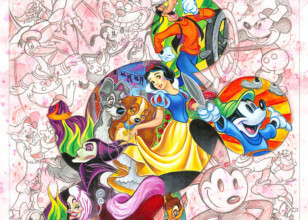 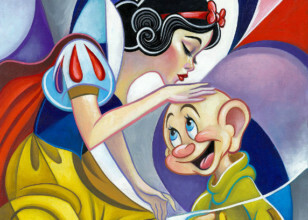 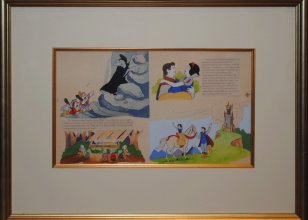 Walt Disney's Snow White is the first animated feature by Disney and it sparked the stereotypical Disney princess fairytales that people have come to love.